Tomorrow the Assisted Dying Bill is back before the House of Commons yet again. I wonder if your views have changed since it was last debated. And here we are, 2600 years later, with an aging population, limited resources and vastly improved medical capability. Globally, the number of over-65s is expected to triple by 2050, with all that that implies. Of course, no politician will ever advocate that those who ‘no longer serve the land’ should choose suicide. But many aged and infirm people would choose death for themselves rather than indignity or slow decline or suffering. I’ve known many such – one just this week. And yet the current law prohibits assisting them towards that end. Is this a safeguard or a shackle? During the Festival last month I went to a show which dealt with the quandary elderly folk can find themselves in: specifically not wanting to be kept alive, not wanting to be taken into hospital/care, not being listened to. In the drama, by the Jealous Whale Theatre, terminally ill Wendy’s grandson, Edmund, pleads with the authorities to respect her wishes; but the powers that be insist that there are ‘safeguarding’ issues and their hands are tied. In the end Edmund takes matters into his own hands, smothers his gran with a pillow, and then sits quietly waiting for the consequences. Cleverly performed in the intimacy of a ‘Wendy House’, it forced the audience into close proximity with the protagonists and their moral dilemmas. The play resurrected a lot of the old questions for me. 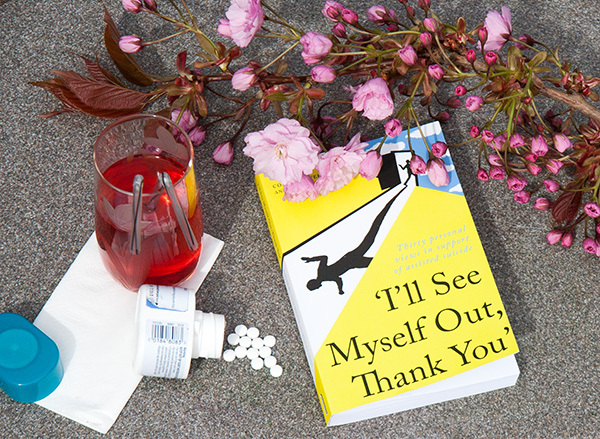 Earlier this year I also read (and reviewed on this blog) ‘I’ll See Myself Out, Thank You‘ Afterwards I went to the internet and looked at videos about people who have made a choice one way or the other. I was staggered by the number available, and had a rather depressing day watching them all, especially the touching scenes of farewell with loved ones. I don’t recommend it! But I thought I’d give you the links to a selection of them just in case you want to select any to help you think through the arguments for yourself. I apologise for the imbalance; I’d have liked to be even handed, but far more pro assisted death than against seem to commit their views to video. The last days, hours, minutes of a person’s life before they took the lethal dose, explaining their position and support for assisted suicide. Mothers who wished to or did take the lives of their children. Speaking of age, I want to add my own wee tribute to Her Majesty Queen Elizabeth II who yesterday became our longest ever reigning monarch. Watching this little old lady still performing her role with dignity, grace and an exemplary sense of duty at the age of 89 is both humbling and inspirational. God bless her. In 1936 the royal physician, Lord Dawson of Penn injected a lethal mixture of morphine and cocaine directly into the jugular vein of His Majesty King George V. Queen Mary and the about-to-be King Edward VIII were in attendance. The timing of the fatal infusion was chosen so that the announcement of the King’s demise would make the next morning’s Times but be just too late for the less prestigious evening press. Four monarchs on, the debate as to the rights and wrongs of assisted dying is a hot topic, and legally what Lord Dawson did would be inadmissible today. 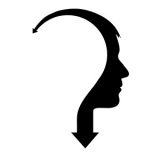 I’ve lost track of the number of books and articles I’ve read on the subject, how many debates and seminars I’ve listened to, how many times I’ve rehearsed the arguments myself. But I can say that a new book out this year, beguilingly titled, I’ll See Myself Out, Thank You, is a very useful addition to the existing collection – hence I return to the subject yet again in this blog! It brings together short but relevant contributions from a range of writers: seriously disabled and terminally ill people who plan to take their own lives when the time is right for them, spouses of people who have already done so, psychiatrists who’re asked to assess their mental competence, people who work for Dignitas in Switzerland, those who have accompanied patients to Dignitas, relatives of people who’ve actually helped someone to die illegally in this country, peers of the realm who’ve voted on the issue, men of the cloth, humanists, ethicists, philosophers, journalists, novelists, playwrights, even a stand-up comic – an impressive list. All with voices worth listening to. It’s a very readable book. The vivid stories, the personal experiences, the credentials of the authors, bring the issues to life and breathe authenticity into their measured and thoughtful viewpoints. Most of the arguments I’ve heard many times before, many of the contributors I know personally. However, I personally found three sections particularly thought-provoking. In Chapter 4, psychiatrist, Dr Colin Brewer, gives some fascinating vignettes of people whom he was asked to assess for assisted suicide. Made me ask: what would I have made of each of these cases? The first section in Chapter 6 on Religion and Philosophy by Emeritus Professor of Theology, Rev. Dr Paul Badham (whom I’ve never met), gives a wholesome and refreshing look at ‘The Christian Case‘. All too often we hear a polarised and unbalanced religious perspective from a minority group or an unrepresentative figurehead; it’s good to have a more tolerant and compassionate approach which fits with a God I’d want to trust and believe in. And then there’s the section in Chapter 9 by a documentary maker, telling the story of art lecturer Glenn Scott‘s* suicide when he was in the last stages of Motor Neurone Disease. 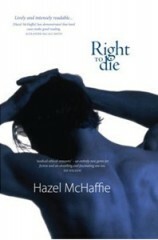 It’s a most moving account, reminiscent of my own story of Adam O’Neil’s dying in Right to Die. (*The link with Glenn’s name takes you to the video of his last tape.) I actually spent a whole rather miserable day looking at similar videos on YouTube and was amazed at the number out there. It didn’t change my mind; it did strengthen my resolve. She was a political activist from her teen years. 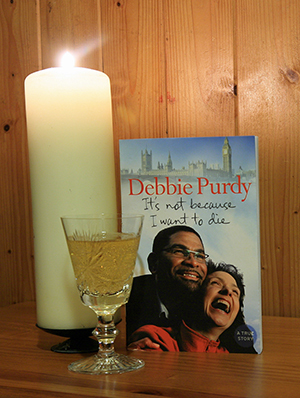 But Debbie Purdy rose to fame when from her wheelchair she pleaded for – and won – clarity on assisted dying in 2009. Her memorable comment: “Being allowed to die would help me to live” summed up her thinking. She loved life, even with its significant difficulties, but the current law was leading her towards deliberately ending that life sooner than she would choose. Sad then that in reality, her end was a far cry from the dignified autonomous finale that she fought for in the courts. She actually died on 23 December, before my last two posts went out, but it didn’t seem an appropriate note for Christmas time or Hogmanay, so I postponed it till today. Debbie was only 31 when she was diagnosed with primary progressive multiple sclerosis. 31. She was 51 when she eventually died. 20 years of living with a severely disabling painful disease – outlined in her 2010 autobiography, It’s Not Because I Want to Die. When she appeared before journalists and the public she made no secret of her personal wish to go to Switzerland to die when life became unbearable; all she wanted was assurance that her Cuban husband, Omar Puente, (black, foreign and poor, so, she feared, particularly vulnerable) would not be prosecuted if he assisted her to get there. Her jubilant face when the House of Lords gave that reassurance lives in the memory. Assisted dying wasn’t yet legal but she could now live her life to the full and she was in no hurry to go. But, when that point of unbearable suffering came, she could not afford the journey to Switzerland. Instead she went into a hospice, where she ended her life peacefully … no, starved herself to death. It took a whole year! How can this possibly be right? Even a few days before her death she was filmed saying if a cure became available she would be first in the queue for it, such was her wish to live. But not at all costs: “It’s not a matter of wanting to end my life. It’s a matter of not wanting my life to be this.” Harrowing to see her emaciated frame, hear her reluctance, feel her fear – you can watch it here if you can bear to. I can’t begin to imagine what it must have been like for her relatives and friends, and indeed those caring for her, to watch her deteriorate in this horrible way. Nor the courage and determination on her part to stick to her resolve for that long. Advocates of a change in the law have capitalised on this story, drawing attention to statistics which seem to point inexorably in their minds to change: 60-70% of the public want it; legal and ethical opinion has swung in favour of it; two terminally ill people a month go to Switzerland to end their lives; ten times that number kill themselves secretly at home; to name but a few figures. It’s only religious zealots and medical authoritarianism that are holding us back, they claim; surely the best tribute to this indomitable campaigner would be to legalise assisted dying. I’ve stated my own opinion elsewhere on this blog; I won’t rehearse it again here. Suffice to say I have my own reservations, my own tentative solution. But the very fact that, in this 21st century, in our affluent and democratic country, after two decades of mental and physical agony, a young woman took a year to die from starvation, must surely give every one of us pause for thought. What’s your definition of torture? 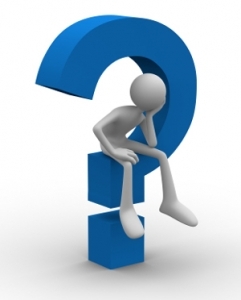 If not an assisted dying bill, what? In a decent civilised society we cannot stand back and allow such scenarios to be reenacted. D’you remember the BBC film of this name, A Short Stay in Switzerland, a dramatisation of the last days of Dr Anne Turner who developed an incurable degenerative disorder (PSP)? She made the front pages of the papers with her letters to friends and relations to say, ‘By the time you read this I will be dead‘. In January 2006 she travelled to Dignitas to end her life, the day before her 67th birthday, while she was still able to move and voluntarily take the lethal medication. And a report this week says that almost a quarter of terminally ill people who avail themselves of the suicide clinic’s services are from Britain (second only to Germany). Well, I’m grateful to be able to report that my own short stay was of a quite different order. I had eight days to revel in the spectacular scenery, travel on the world famous panoramic trains, listen to the enchanting melody of cow bells in the mountains, and inhale the pure Swiss air, with no sinister intent. All I had to do was soak up the beauty and recharge the batteries. Wonderful. I did my best not to let the Dignitas issue cast a shadow over my holiday, but of course, books featured. 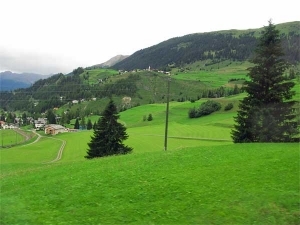 After all, this was real Heidi country, Johanna Spyri was born, lived and wrote in and around the rural area of Hirzel and Zurich, and used Graubünden for the setting of her books – all places I visited. Although Spyri struggled to find a publisher initially, the two Heidi stories went on to become by far the most popular works of Swiss literature: they’ve been translated from German into 50 languages, filmed more than a dozen times, and over 50 million copies have been sold world wide. 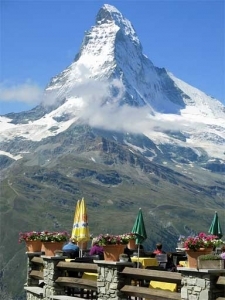 So evocative were they of the Swiss Alps that the real locations exactly conformed to my childhood mental images. 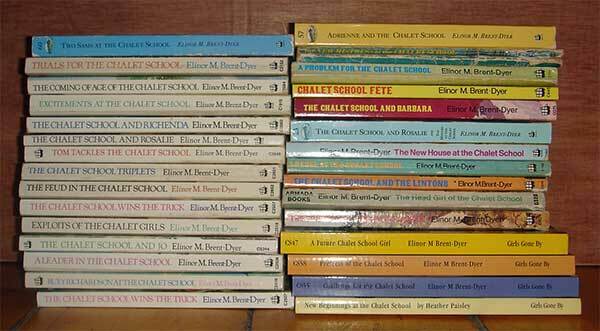 Switzerland is also the stuff of the Chalet School series by Elinor M Brent-Dyer, another big part of my growing up. Stories of schoolgirls who spoke three languages fluently, whose lives were overshadowed by the sanitorium, and who seemed to grow up to have lots of children also destined for the Chalet School. I collected most of the hardbacks (secondhand) in my youth, and passed them on to my daughter, who recently completed the set (58 books), paying a good deal more for rare copies than I ever did! The full complement are destined for the next generation. What a lovely legacy. I might even read them again myself some time – this time in the correct order! – and fill in all the gaps. Way back when I was writing Right to Die, (2005-2007 ish), Lord Joffe was working tirelessly and meticulously to get his Assisted Dying for the Terminally Ill Bill through parliament. I followed its progress closely, I met with the man himself, and I confidently expected him to succeed. But no, the House of Lords blocked it. Too hot to handle. Then two years ago MSP Margo Macdonald waged her passionate campaign to get assisted dying accepted in Scotland. I watched her in action, I listened to her in the flesh, and I honestly thought her End of Life Assistance (Scotland) Bill would get somewhere, given the publicity she generated and her own personal struggle with Parkinson’s Disease. But no. I was wrong again. It was thrown out. Now this month Lord Falconer has published his report on behalf of the Independent Commission on Assisted Dying (set up and partly funded by Sir Terry Pratchett). The story is similar. They recognised the distressing situations people find themselves in under the present system, the anxiety it causes healthcare providers, and the challenging burden it represents for the police and prosecutors, and found the present law both ‘inadequate‘ and ‘incoherent‘. They looked for a solution for people with the mental capacity to request assistance and a clear sustained wish to die. Once again practices in other countries that permit varying levels of assisted death came under scrutiny. The Commission ‘did not like much of what they saw.‘ In Switzerland, the Dignitas clinic is an alien environment where patients are far away from loved ones. In Oregon, patients must take 90 pills, often without a doctor present. In the Netherlands, even teenagers and people with mental illness are helped to die. The Commission deemed all these practices undesirable for Britons. But in any case, irrespective of the efficacy of practices elsewhere, in reality the opportunity to go abroad for death is really only available to the wealthy. Furthermore, because of the threat of legal action against relatives who assist them, many are forced to take their own lives early while they are still physically able to do so. So, nothing new; but the painful truths revisited and reiterated. Like their predecessors, the Commission came to the conclusion that a change is overdue. GPs should be able to prescribe lethal doses of medication for dying people to take themselves, they said. Lord Falconer’s recommendations though, are much narrower that Margo Macdonald’s. They would only apply to people with less than a year to live, who are capable of drinking the medication unaided. They do not include those who are suffering unbearably but for whom death is not imminent. Neither Margo herself, nor the redoubtable right-to-die campaigner Debbie Purdy who has MS, would qualify. After all they’ve done to open up the debate and clarify the law! A retrograde step surely, not to cater for the people in greatest need of help. Because in reality, terminally ill patients close to death are often helped subtly and carefully and lovingly to have a good death. It’s the ones with lingering declines because of conditions that rob them of power and control and dignity inch by degrading inch that we need to worry about most. In fairness, this latest august committee conceded that there are dangers in what they recommend and extreme caution is needed. Pressure might be exerted on vulnerable people to end their lives – either from within themselves or from family members. Hence, in their scheme of things, disabled people, or those with depression or dementia, would be ineligible for assistance. Or maybe they felt that a staged approach is advisable. Start small. 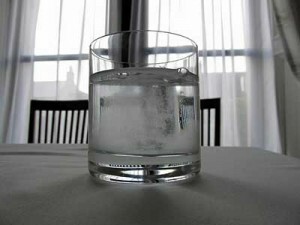 Test the water. It’s conceivable. But could backfire. The next step would be to discuss their report in parliament. But it will inevitably face stiff opposition. Politicians have proved themselves reluctant to back this particular hot potato. Vocal religious leaders are against the taking of life – full stop, and few politicians will risk alienating them. And many in the medical profession are reluctant to publicly support something which appears to fly in the face of their avowed duty and intent to save life and do no harm, although, if you read the evidence to the Commission you’ll see that a considerable number of eminent doctors do privately support a change in the law. Nevertheless the report places much of the burden for implementing change on doctors. They are the ones who must screen eligible patients, tell them about possible alternative treatments, deliver the lethal prescription, be present during the final moments, cooperate with the police, and report to a monitoring service. Burdensome indeed. Especially if you have personal reservations. And many doctors fear that allying themselves with such a death service would compromise their relationship with their other patients. But identifying any category of person to take this role presents me with my personal biggest dilemma. It’s easy enough for those who aren’t medically trained to insist, ‘Oh yes, somebody should help these people to die.’ But would they be prepared to administer that fatal dose? To live with the knowledge that their action had killed a fellow human being? Me, I feel sick if I accidentally step on a snail! I couldn’t even finish off an almost-dead rabbit left behind by a hit-and-run driver. Squeamishness personified, me. Who am I to say, ‘Yes, we need this change, but you do it, not me’ ? That’s where all my carefully worked through logical reasoning breaks down. This time I haven’t spoken to Lord Falconer in person, but if I had to declare my opinion as to the future of this latest attempt to offer assistance with dying in the circumstances outlined, I would rate it unlikely to succeed. Especially given the accusations flying around of bias and prejudice in this particular committee. And the problem of knowing who has less than a year to live. And the expertise required to assess people with a terminal illness for anxiety and depression – could GPs do it? And the time necessary to establish a sustained and genuine wish for death. However, talking about these controversial and emotive issues that involve unbearable suffering and mental anguish, has to be better than sweeping them under the carpet. So if it keeps the issues alive it will have served a function. And in the meantime, let’s just hope and pray that those who need it get excellent palliative care from staff who support the concept of a pain-free dignified death. 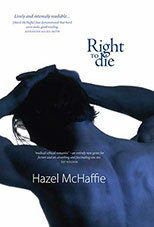 Curious really, Right to Die came out in 2008 but is just as topical in 2012. The reverse of what I expected when I wrote it. If you are of a sensitive disposition and a member of the female persuasion you might choose to look away NOW – you can come in again at the asterisk below. Ahah! Did you think I was going to talk about the BBC documentary on assisted suicide? Sir Terry Pratchett investigating the experience of the Dignitas option in Switzerland? Yes, I know it’s my kind of subject, but it seems to be being done to death (sorry!) elsewhere, so I’m not. Besides I feel too disturbed about what I saw to write about it at the moment. No, today I’m turning my beady eye onto a different controversy. Women: their status, their potential, and how they’re treated. Of course, as you probably know, his history is littered with offended people. Why, his own philosophy includes: ‘If a writer doesn’t generate hostility, he is dead’. But this time his boasting about his own achievements and his relegation of all women writers as doomed to inferiority by their ‘sentimental’ attitudes and ‘narrow view of life’, hit the raw nerves of way over half the population. He even compounded his sweeping assertion with this partial explanation: ‘And inevitably for a woman, she is not a complete master of a house, so that comes over in her writing too‘. Hello?!! OK, you might say, what would you expect from someone whose private life is a study in misogyny and discrimination? Well, I for one would prefer to see great talent and acclaim generating humility and gratitude and deference to the success of others. Not arrogance, unwholesome pride and cruelty. End of rant. So I turned with relief to a story of the suppression of women which sets a context of triumph over evil and the power of love. ‘For almost three decades now, the Afghan refugee crisis has been one of the most severe around the globe. War, hunger, anarchy, and oppression forced millions of people to abandon their homes and flee Afghanistan to settle in neighboring Pakistan and Iran. 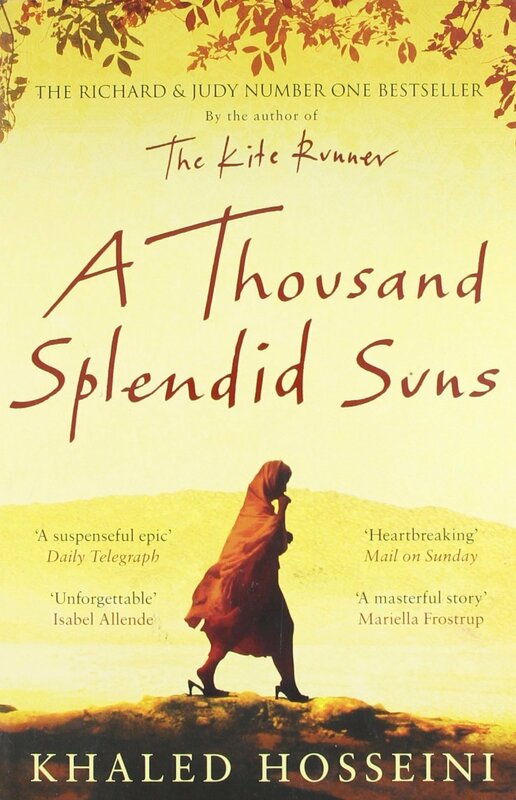 At the height of the exodus, as many as eight million Afghans were living abroad as refugees.’ So says Khaled Hosseini in the afterword to his novel, A Thousand Splendid Suns. Hosseini was born in Kabul, Afghanistan and became US goodwill envoy to the UN Refugee Agency, so he speaks with both knowledge and sincerity. That authenticity shines through the story of the illegitimate Mariam, the ill-fated childhood sweethearts Laila and Tariq, the troubled children, Aziza and Zalmai. As does the author’s empathy and humanity. But it’s the quiet depiction of abject poverty, of domestic brutality and female suppression, of sacrificial marriage between young teenagers and much older men, that makes this book the moving and sensitive tale it is. We in the UK read of honour killing with horror in our hearts, but Hosseini conveys quite masterfully the essence of a culture that permits such acts. We see how it happens that wives submit to constant abuse, husbands lock their wives out of sight, fathers kill or reject their daughters, and laws condone such discrimination. Hosseini’s understated prose is eloquent in its simplicity. Naipaul would fit right in here, wouldn’t he? 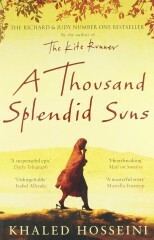 As the cover says: ‘A Thousand Splendid Suns is an unforgettable portrait of a wounded country and a deeply moving story of family and friendship. 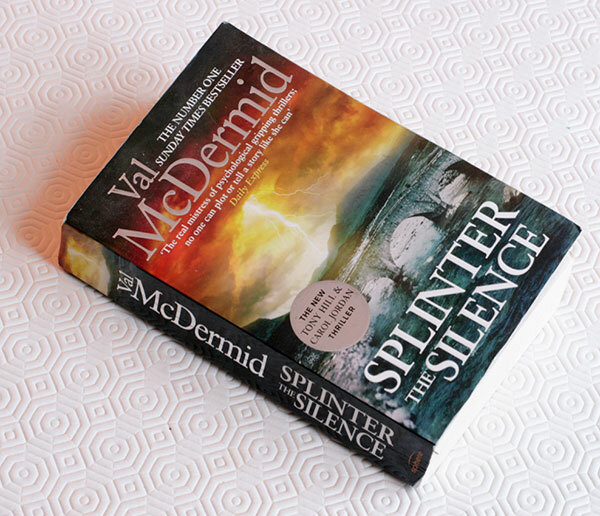 It is a beautiful, heart-wrenching story of an unforgiving time, an unlikely bond and an indestructible love.’ Indeed it is. And all the reader’s sympathies are with the downtrodden women. I salute Hosseini as a true master-storyteller. As for self-acclaimed Naipaul, well, his ranting and posturing say much more about him than about women.